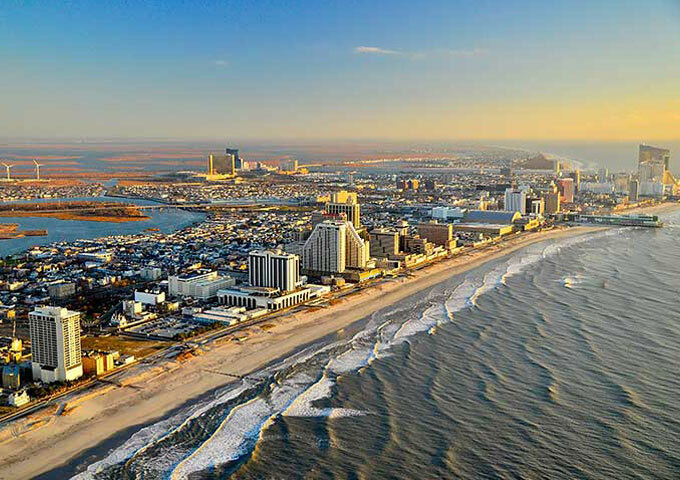 Atlantic City, New Jersey – Advanced Consulting, Inc. is looking to put a Hotel / Resort & Business School on its well-known Boardwalk, becoming the first minority owned hotel ever on the boardwalk. In a city that’s majority African American, it’s time we give them & the world black excellence. An upscale Hotel / Resort while providing a great business opportunity. Advanced Consulting Chief Executive Officer Gem Lake is calling on everyone to invest. Individuals, investors, athletes, celebrities, whoever can make an investment it will be a great business decision while making history with solid returns on investment, we need everyone to step up, all people. We will be attracting a very strong upscale consumer base world wide. Our structure allows a profit split from hotel room stays (Condos) producing monthly returns along with all the benefits of owning prime beach front property as an investor, take action, email or call us today. We are looking to raise an additional 12 Million, Joint Investors / Single Investors. Our structure behind the hotel gives us over 100,000 Sqft of office space launching our business school University of Greatness. This school will teach business skills, opening small businesses, incubator for technology, marketing & entertainment careers. 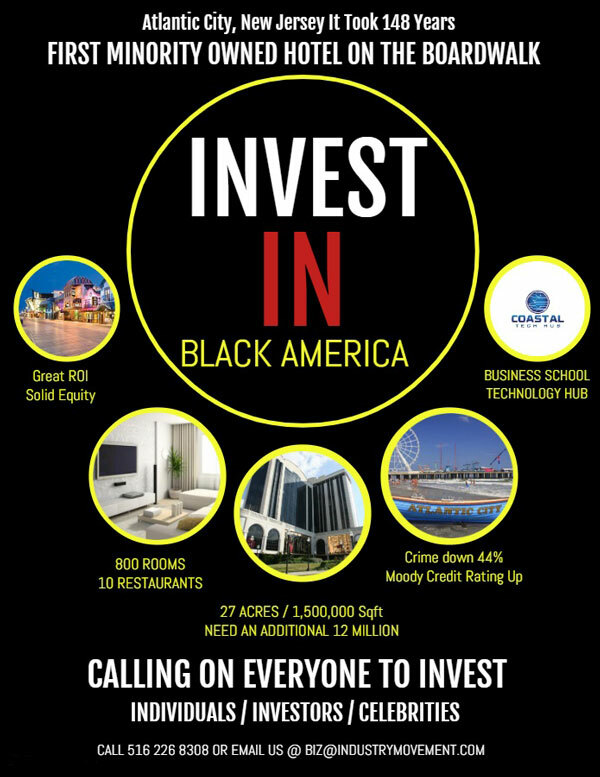 Atlantic City is incredible, crime has dropped 44% over the last 2 years, Moody has increased the City’s credit rating, over a billion dollars in new development over this year, the market has made an incredible turn for the predominately African American city as we bring an upscale property representing excellence with high standards. Lake said, its an opportunity for all ethnic groups to invest in diversity building financial & social benefits. With the amount of space, we are able to bring in a farmer’s market to an area that doesn’t have a grocery store using our additional parking lot that sits unused behind the hotel to provide quality produce and healthy living for the residents of Atlantic City. Smart economics with a property that has high equity is good business and good social development for the people the business will serve. Building new business is profitable and beneficial for the entire area. A great investment all around.